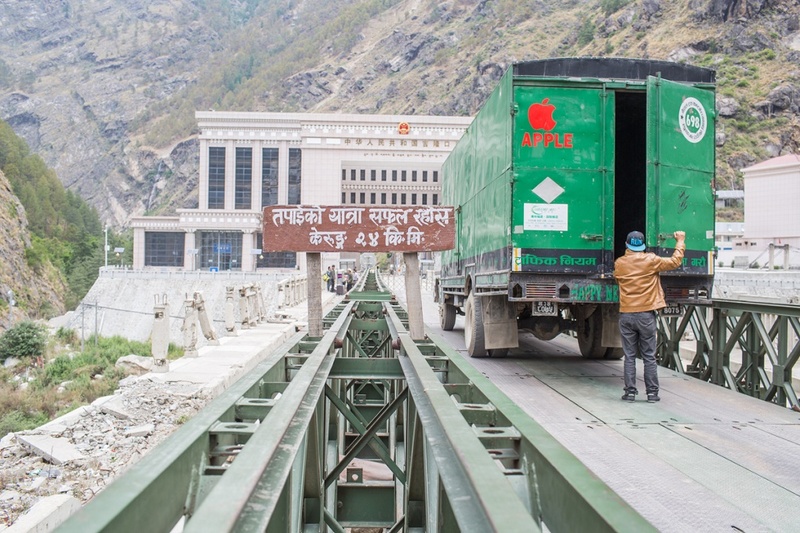 A truck preparing to enter into China at Nepal’s boarder to Tibet in Rasuwagadhi. Hundreds of containers carrying freight to Nepal have been stuck halfway as a landslide blocked the road connecting Rasuwagadhi border point between Nepal and China and Kathmandu. Acting Chief of the Rasuwa District Police Office, the landslide at Khopangbhir of the district blocked the way for hundreds of vehicles laden with garments, shoes, food items, electric appliances among others. Meanwhile, dozens of containers heading towards Rasuwagadhi have also stuck halfway. The road has been obstructed since Sunday, and efforts are underway to remove landslide debris, according to Chief District Officer Krishna Paudel. Paudel says the number of vehicles obstructed on both sides is more than 300. Among them are some trucks carrying equipment of Ncell. Traders have complained that the obstruction of road has hit them hard as the market is approaching biggest festivals of Dashain and Tihar in next two months. Meanwhile, CDO Paudel assures that efforts are underway and the obstruction will end soon.